Did it ever happen to you to have this strong feeling inside of you that something bad is going to happen and if you don’t pay attention to this feeling you’re going to get in big trouble? How much do you trust what you know in the first two seconds? I was taught to discount my intuition. I was told, over and over, when I knew something to be true, that “It’s just your imagination.” Our society often systematically trains children to distrust what they know so that they can be controlled by parents, teachers and religion. 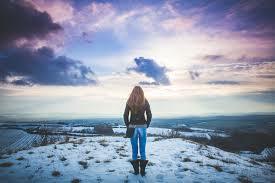 If we trust our inner knowing, we cannot be easily controlled. 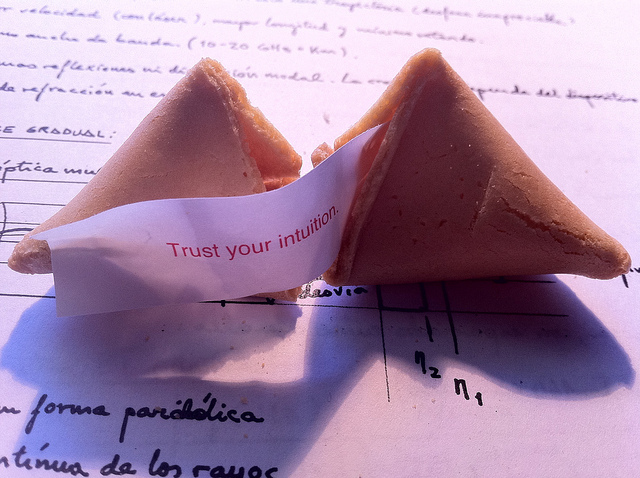 The trick to developing your intuition is to use it. Like any talent or ability, it needs to be exercised and practiced in order for it to grow. Imagine this: you have a question, an inquiry, or a conundrum that you want to solve, an answer you’d like to find. No matter how good you are at thinking about it and analyzing it, the answers you’re seeking are not flying in the window and dropping into your lap. Frustration ensues. My suggestion? Ask yourself the question you want an answer to, then let it go. Trust yourself, and trust that you can find the answer you’re seeking, and then open yourself to receiving. The very answer you’re looking for may not show up in complete form, BUT you could suddenly have an urge to call your friend, who says something that gives you an idea, which sends you where you need to go to get your answer. Often intuition works in this roundabout way. It’s kind of like a treasure hunt, which just makes it a lot more fun. Intuition also works well in the moment. Learn to listen to yourself when you have a sense or feeling about someone or something, and to follow up your feeling with action. If you stop along the way and tell others, in the hope they will validate your intuition, you’re in danger of killing off your original intuitive sense. And just like that, when a student listens to her intuition, giving an energy healing becomes more real for her. And a lot more fun. When a healer has his space and works from that place, he creates space for the person he’s working on, to heal. Each can access his or her own intuition in the process. Everybody gets something of value here. 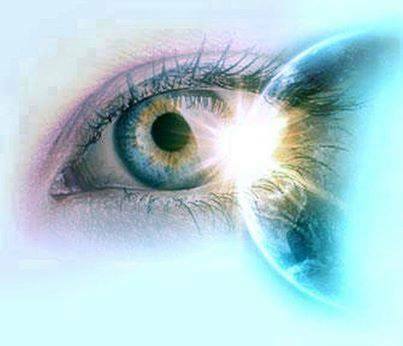 Intuition is a very real, very valuable, human ability. Each of us has this ability already “built in” – you might say it comes with the whole package of being human. Many people have spoken of using their intuition to protect themselves, help them out of a tight spot, or create something wonderful. 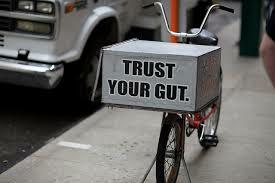 If you have ever had a gut feeling about someone or something, you were experiencing your intuition. If you followed your instinctual feeling without over thinking it, you have validated the deeper wisdom that is a natural part of you. I can’t imagine living a full rich life without accessing this part of myself. I can remember countless times when my intuition helped me solve a problem, avoid bad traffic or difficult people, or find something I was looking for. And I can also laugh at the times I’ve not listened to myself, resisted the information, and perhaps fallen flat on my face as a result. Intuition has a special clause: it can’t be explained in any satisfactory way to another person. You don’t need to prove it. That’s sort of like asking someone else for permission to have your own ability working for you. Either someone gets it or they don’t. For example, try proving how you feel to another person. You may explain it, so that the other person is made aware that you feel something. But you haven’t necessarily proven anything to anyone, and you don’t need to. If you allow someone else’s judgment of how you feel or what you intuit to take precedence over your own experience, you will destroy that experience. You may begin to doubt yourself. You can destroy your trust in your intuition, thereby blocking your access to it. We as a society applaud those who are able to use their intuition to create something new and different. We also tend to criticize them for doing so, that is until they “prove” that it was a good idea all along by succeeding. We may be in awe of someone using their intuitive abilities to go where no one has gone before, but sometimes we throw rocks and demand explanations and proof too. Scientific information is valuable, but so is spiritual information. As a culture, we have become controlled by our need for scientific proof or experts to come and explain away the mysteries of life. Intuition is one of those mysteries that cannot be explained away. It is about spirit, and needs to be experienced. Each person will have a different experience, and nobody’s personal experience is better than anyone else’s. Your intuition about me isn’t as important to me as my own intuition about myself is. No offense, it’s just how I roll. 1. Listen. Begin by listening to yourself, your own thoughts and feelings. Listen to your body and what it is trying to tell you. Have you been in judgment of yourself or your body? That judgment will make it difficult for you to get any clear answers about what is really going on. You may receive your information in different ways. It is important to listen to what you are feeling. 2. No explanations necessary. This is another thing to listen for: have you been explaining yourself away to others? Do you feel the need to constantly defend and explain yourself? This will get in your way, and make it virtually impossible to validate what you are trying to tell yourself on an intuitive level. 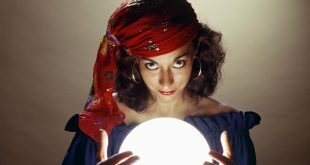 Also, if you are looking to others to validate your intuition for you, you may be disappointed. You must own it for yourself. 3. Follow Through. After listening for and beginning to own your intuition, it is important to follow through. Take action based on what you have learned. Make that phone call, say hello to that person, take a different route, whatever your intuition says. 4. Validate yourself. It helps to consciously validate and thank yourself and your intuition for coming through for you. Equally, it is important to admit when you didn’t follow through, and if it would have been good to do so. You can retrain yourself to listen, to follow through independently. Write down your wins in your journal, to remind yourself. 5. Have fun with this! No competition necessary. You win just by listening to yourself and your own wisdom. This all works much better from a place of fun. Enjoy!